We are delighted for the recognition. 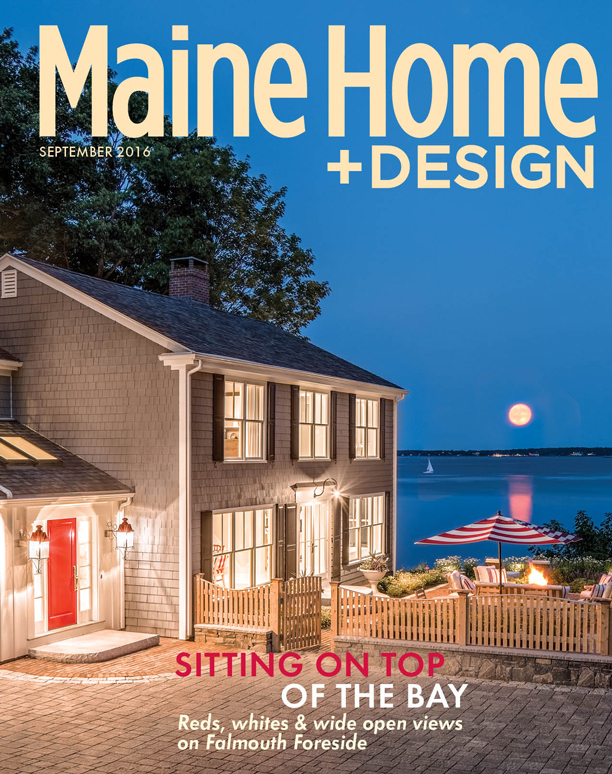 Banks Design Associates won two categories: Professional Curb Appeal for Peter’s Cove, Harpswell and Professional Living and/or Dining Room for Ship Channel, Cape Elizabeth. In addition, Banks Design Associates tied for runner up in the Professional Living/Dining category for Luxe Barn, Falmouth. New England Home loves Simply Home's Denim blue baskets in blue white, for a stylish way to stash everything from toys to laundry. Elle Decor features a colorful, Falmouth entry by Banks Design Associates in an online feature on "Ways to Take Your Foyer to the Next Level with Artwork." The Chicago Tribune asked Linda Anne Banks how she uses hardwood boards on walls—it's all about the nickel-width gaps for that signature Banks Design Associates look that is both crisply tailored and relaxed. This vacation getaway right around the corner from Falmouth Town Landing Market makes a statement. Linda Banks' signature Maine Fishing Map and exclusive collection of Maine and coastal themed art for Wendover Art Group is featured in this edition's Design Wire. A renovation reveals the gem hidden within a careworn shingled cottage on Chappaquiddick. On Falmouth Foreside, a 1960s colonial is taken down to the studs and opened up to the ocean. Begin (or complete) your design project with furniture and all manner of home goods from the newly expanded Simply Home, where various vignettes provide loads of inspiration. Hit the back of the shop for a hall of mirrors, wall of pillows, and much, much more. A gentle face-lift to a John Calvin Stevens house in the West End takes its cue from the canvas. 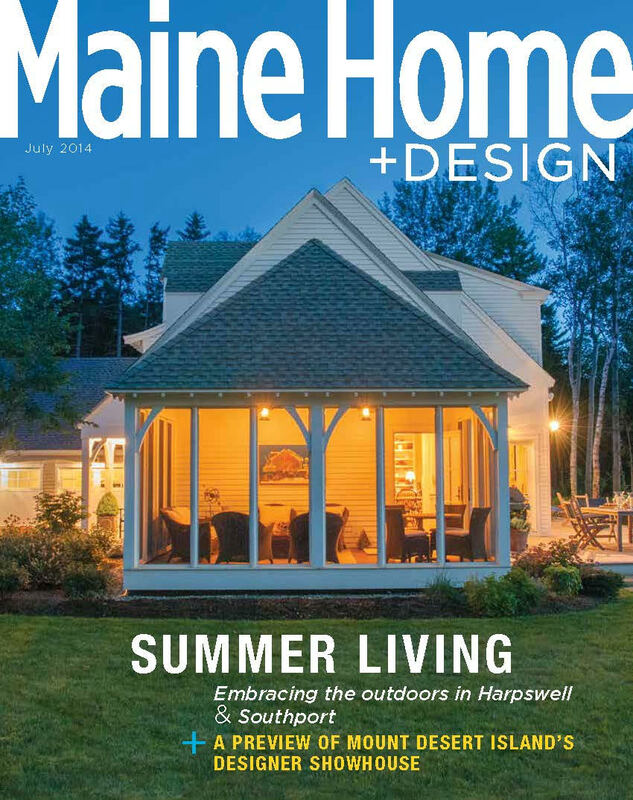 Maine cottages and traditional Capes inspire the design of a Harpswell home. On Orr’s Island, clean, classic design with a thrilling twist. A home that once belonged to a shipwreck diver becomes a real catch for a California family who looks forward all year to summer on the Maine coast. The classic farmhouse gets a modern-day take in Cape Elizabeth. Sign up with your email address to receive design tips and news about new products, sales, and events.